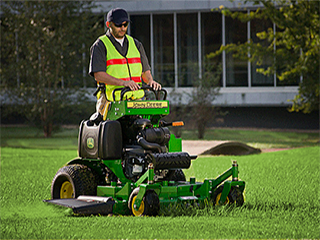 Lawn & Tree Maintenance - Mowing, Trimming, Seed, Insect Control. Johansen Landscape & Nursery is ready to meet your needs with quality service by explaining all of your options and helping you select the appropriate one. With a Johansen landscaper, you get a beautiful lawn and garden that is sure to please. Call today to schedule an estimate. We can take care of everything from Residentil buildings, Homes, Office buildings, Banks, Retail locations and more. We offer full service lawn care services to keep your lawn and garden looking great all season long. Weekly, Bi-weekly, Monthly and as needed plans availible. We offer a Pre-Pay discount for a full year of care. 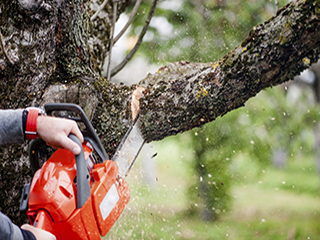 We offer a full tree care package that will cover the basic and advanced needs for your tree. Our trianed specialist asses your trees and put together a custom maintenence plan to keep your landscapes looking great. 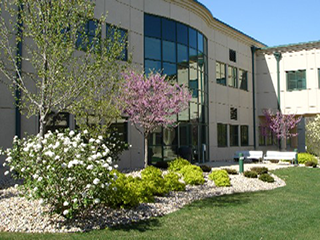 When it comes to your office or business, At Johansen Landscape & Nursery, we understand that the needs of businesses and larger properties require a lot more than those of your average backyard. We specialize creating large-scale landscapes for your business. We keep professional properties looking professional.